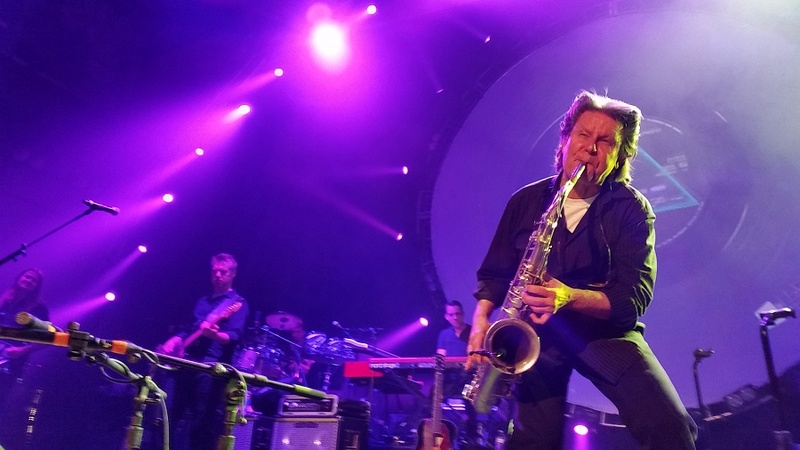 Just a few weeks ago, right before Brit Floyd wrapped up the first leg of their current North American tour, they were joined live, on stage by a very special guest at Los Angeles' Orpheum Theatre: saxophonist and rhythm guitarist Scott Page. Brit Floyd musical director Damian Darlington tells Brain Damage that Page "played Money and Us and Them" with them. Page originally joined Pink Floyd during the recording of A Momentary Lapse of Reason and toured extensively with the band in promotion of that album. 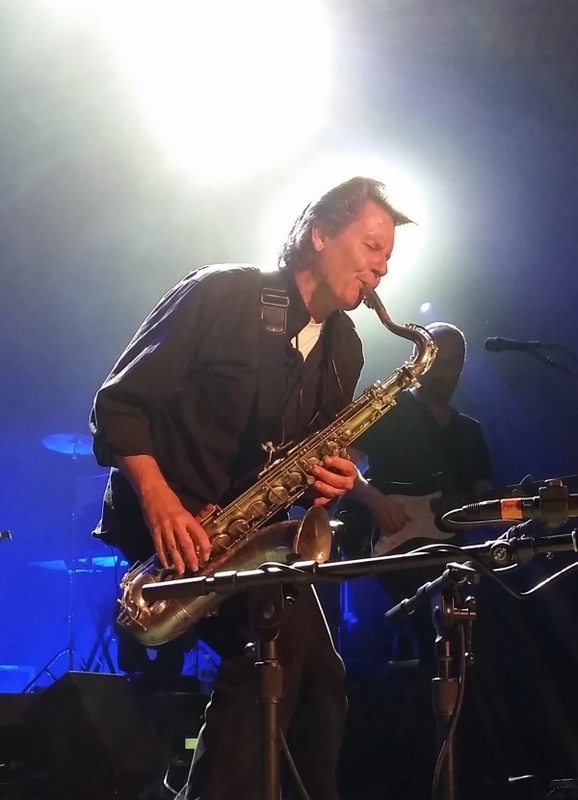 He contributed saxophone and guitar parts to the A Momentary Lapse of Reason Tour and his live work with the band is documented in the Delicate Sound of Thunder album and video. Page continued collaborating with the likes of Bob Ezrin, David Gilmour, and Storm Thorgerson after his tenure in Pink Floyd: although he shifted his focus toward a number of successful business ventures at the conclusion of the A Momentary Lapse of Reason tour, he continued working with a wide array of individuals from the Pink Floyd camp in that new context. He has also continued recording and performing over the years despite his business work, with artists as diverse as Gorky Park, David Lee Roth, and Jane's Addiction. Page is currently CEO, President, and co-founder of Ignited Network, "a start up music accelerator based in Los Angeles." "Audience reaction was wonderful. You could tell that they knew a very special musician was up there on stage with us," said Darlington. He added: "Playing alongside Scott lifted our own performance as musicians up to another level. I got exactly the same sense when I had the chance of playing alongside Guy Pratt. When you perform on stage with these guys you get an even clearer idea of why they were chosen to play with Pink Floyd in the first place." Guy Pratt joined Brit Floyd on stage at Echo Arena Liverpool on November 9th of 2013. Page's performance with Brit Floyd adds to the resonance of Delicate Sound of Thunder with the band: "It really was special to get the chance to play alongside him, at times it felt like being on a recording from Delicate Sound of Thunder," said Darlington.